If you are looking for great deals on gauze pads online, look no further. 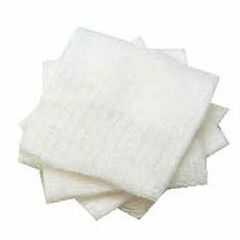 Allegro Medical offers only the highest quality sterile gauze pads for sale at wholesale prices from industry leading brands such as Cardinal Health, Curity, McKesson and Curad. Whether you are looking for gauze sponges, 2x2 or 4x4 gauze pads, or trauma dressings you are sure to find a great deal on the products you are looking for. AllegroMedical.com offers only the highest quality gauze pads and accessories at the lowest prices guaranteed. See our Best Price Guarantee for more details. Gauze Pad - Non-Sterile, 8 Ply, 4" x 4"
KC600 KimGuard One-Step Sterilization Wrap - 48 x 48"